I’ve finally started the selection process for a pick and place machine, which I want to buy as soon as possible. The whole selection and ordering process will be described and updated here. Bookmark the topic if you’re interested! Best news this week!! ESXDOS v0.8.6 is out officially! Check out these upgrade instructions for your DivMMC EnJOY! (you need to enable ROM writing first and follow the correct procedure of putting the new files on the card to avoid boot problems). Here’s the link to the v0.8.6 zip file. Check out this video for an example: https://www.youtube.com/watch?v=IgTKITGashQ. You can get to 128 BASIC without command line ESXDOS support, but you can load a snapshot file. 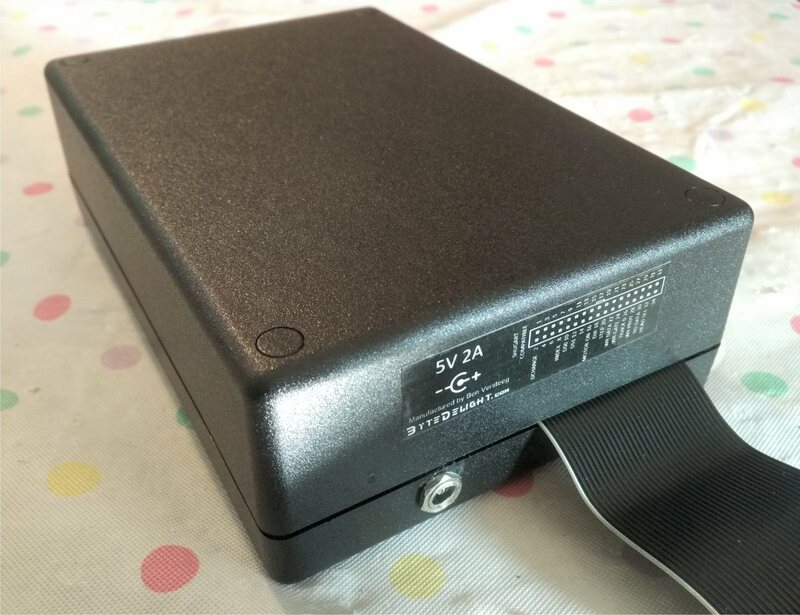 This might be very interesting for +3 users to access floppy drive (not tested +3 floppy access with that myself yet)! Here’s a video showing it works: https://www.youtube.com/watch?v=joR8iqb-iJU. This new release does not include the NMI Navigator by David, although Miguel did some improvements on his NMI Browser with this release. 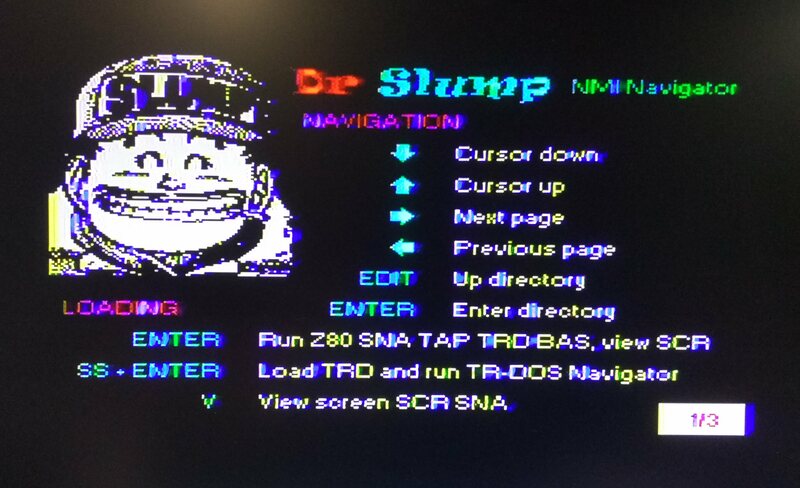 The NMI Navigator however includes a poke feature, to add about all the important Multiface functions to your DivMMC. If you want to check out the NMI Navigator, head over to this page. * 128K BASIC Support: For now only using a specific ROM (check the changelog) and still very experimental (use .128 command to test). * Auto-BOOT Support: Supports loading /SYS/AUTOBOOT.BAS on cold/warm boot (configured in /SYS/CONFIG/ESXDOS.CFG). * TR-DOS Navigator: If ‘AlwaysBoot=1’ is set in TRDOS.CFG, TR-DOS Navigator will be loaded whenever there is no BOOT file in the TR-DOS disk. * Beta 48 (CAS and CBI) Support: Experimental and activated by setting ‘Beta48=1’ in TRDOS.CFG. 1. Copy esxide.tap/esxmmc.tap (depending on if you have a DivIDE or DivMMC, obviously) to your CF/SD/HDD, load it and follow the instructions. Power Off and remove media. 2. Copy the SYS, BIN (and create /TMP if using DivIDE) directories to your CF/SD/HDD. 3. Insert media. Power On. Reset while keeping space pressed to reinit if needed. a) If you replace the SYS directory *before* flashing the new ROM, your previous ROM of esxDOS will not boot correctly. Greets to all the usual peeps (y’all know who you are – just check v0.8.5’s README if in doubt!). 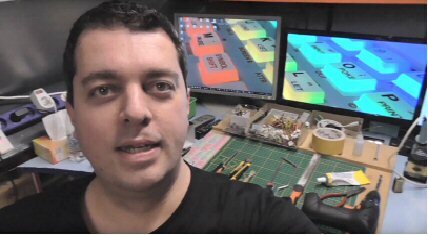 Special thanks to all the great “hardware benefactors”: Ben Versteeg, Pavel Urbancik, SpecNext Team, Tygrys, UB880D, Zaxon! Subscribe to my YouTube channel for free giveaways! At each milestone a randomly selected subscriber will get a free item! 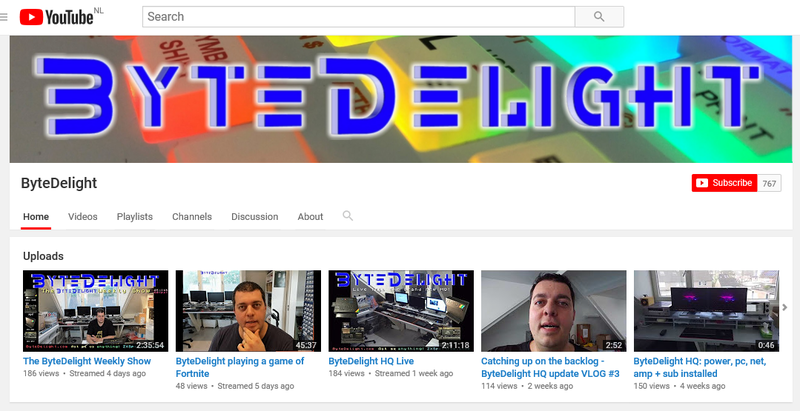 At 800 subscribers: ZX-AY – the winner is Scot! 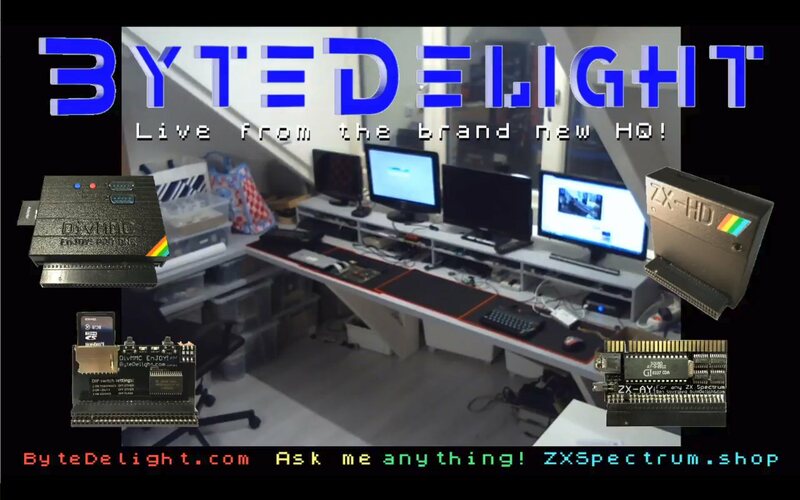 I’m planning on doing weekly live shows about the ZX Spectrum, new hardware, reviews, live repairs, and other kinds of (retro) gear that I like and use. Already we did some live streams, but this will be different. Yeah. It should. Be different. Anyway, check out our YouTube channel and don’t miss out anything! We have to make some apologies to people waiting for their orders or questions to be answered, as we’re coping with a huge backlog. We’re (still) finishing the new ByteDelight HQ, which is now almost done. At the moment we’re working in a tiny workplace, which is far from efficient. Also an AC was installed to stay cool at summers. The work is almost done: the desks are completely installed now. That took more time than expected because of some custom build-up parts on the desks, but those are also assembled. Should be done in a day or two. After that we can finally install ourselves in the new ByteDelight HQ, and get back to full speed and service again – and lots of new products! If you like to see the result, stay tuned here at ByteDelight.com for the update that will come in a couple of days, or head over to Facebook where we post updates regularly as well. The Dual Floppy Drive sets are still selling well. I keep ordering new old stock drives from time to time. Do you know how much effort is put in to manually craft these? Also, I’ve made some small improvements today because of some feedback I received, take a look! The photo above shows some of the tools used to manually craft each of these Drive sets. The Dremel and saw are used to carefully cut ot the front hole, which is then filed. 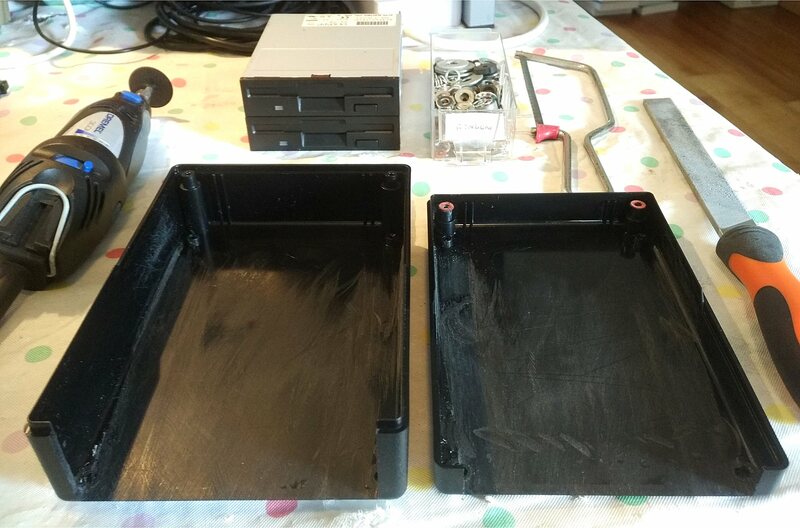 The first improvement I will make from now on are adding two spacers: because of how the set is assembled, often the space between the shells at the front is slightly bigger than at the back. Another improvement is the way I fix the Floppy ribbon cable. In the past I used glue on both sides of the cable at the shell edge, which was noticeable from the outside. 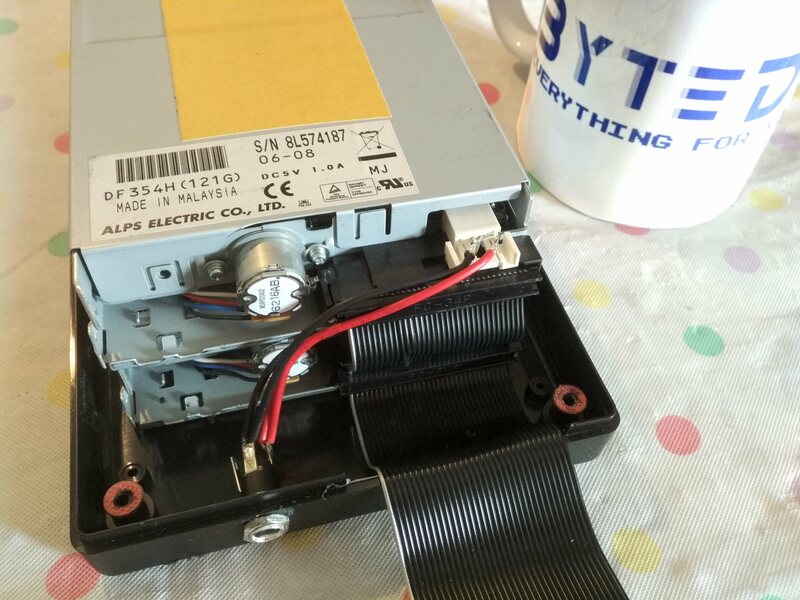 As you can see in the photo above, I solder the power wires directly to the drives. Using a connector may cause problems in the future, especially since the drives are not meant to take apart. You may wonder why it can’t be taken apart. Well, that’s easy: there is no better suitable case on the market for these drives. I’ve looked over and over again, but this is really the best (standard) case. 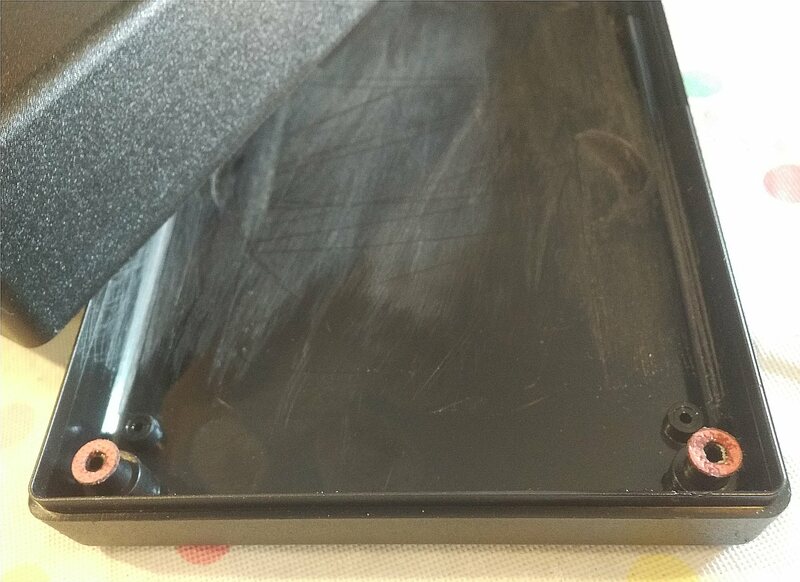 But the screw holes at the front of the this case are to close to eachother to have the drives in between. That’s why I cut and file away the screw holes. 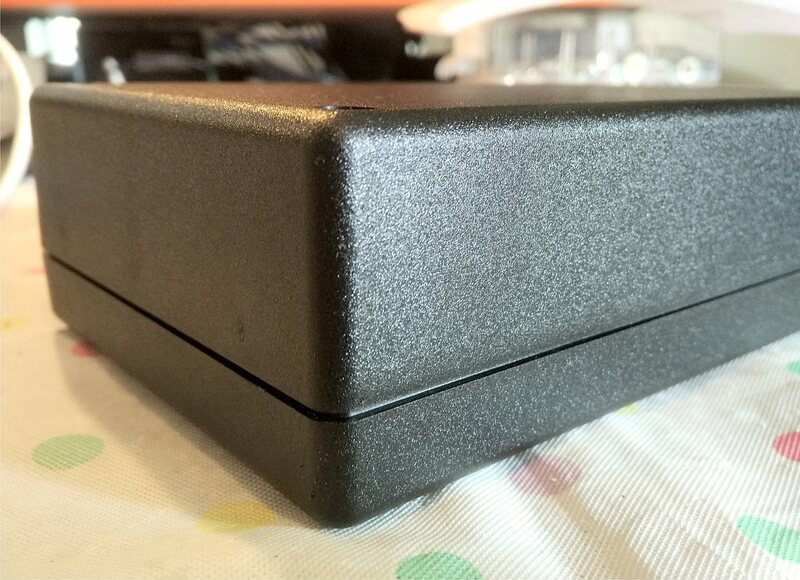 To be able to close the case, I use double adhesive tape, which makes it fit perfectly. There are a lot of enthusiasts that still like working with Floppy disks. It’s a true nostalgic experience. These Dual Floppy drives work with any Shugart (retrocomputer) Disk interface. So for ZX Spectrum Disk interfaces, but also for Sinclair QL, and lots of other brands like BBC. Get over to ZXSpectrum.shop to order one! 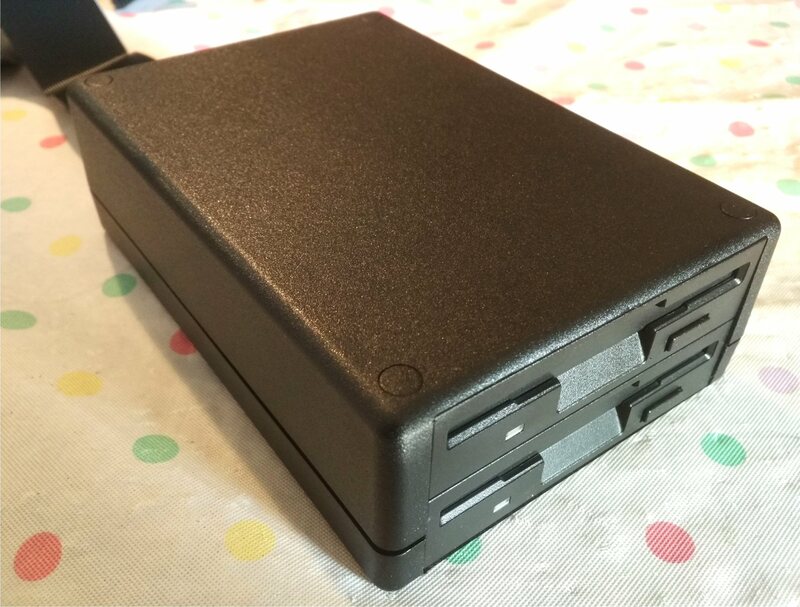 I often get the question if people can still use the floppy drive on a ZX Spectrum +3 in case they order a DivMMC EnJOY! interface. 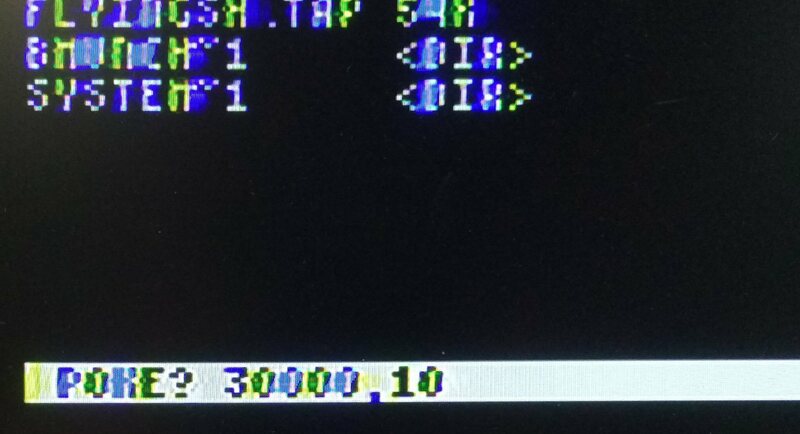 To access the floppy drive in a ZX Spectrum +3, you need the commands that are available in +3 BASIC. When you enter 48 BASIC, these commands are unavailable, so you really need +3 BASIC. ESXDOS, the firmware for any DivMMC interface, currently only supports 48K BASIC in USR0 mode. USR0 mode means you will have all the 128KB memory and the 3-channel sound available, but +3 BASIC is not enabled. 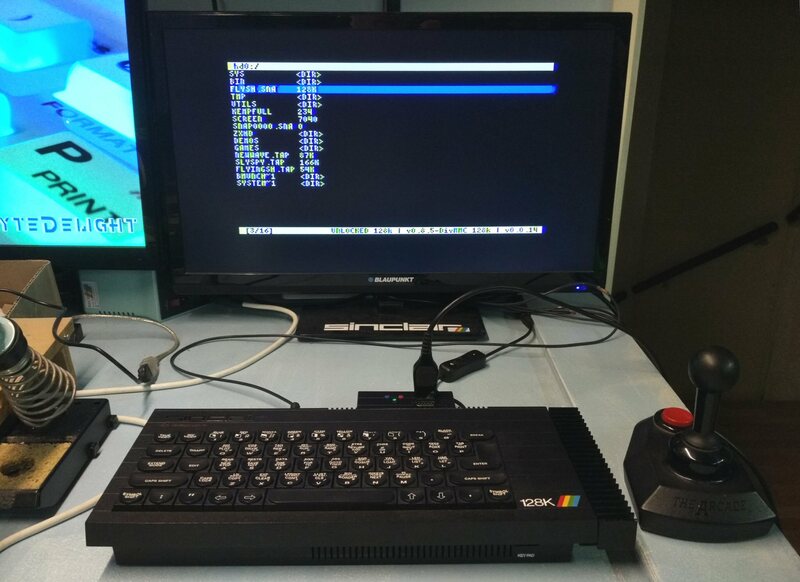 The black ZX Spectrum +2A uses the same ROMs as in the +3 so also has +3 BASIC, and the toast rack and grey +2 use 128 BASIC. All of these enhanced BASICs are disabled once booting wth ESXDOS into USR0 mode from a DivMMC interface. Will ESXDOS support 128 BASIC or +3 BASIC in the future? The focus is on new features like RTC support and Long FileName support, but since there are not many people involved, speed of development is well, let’s say, not as high as many wish for. So can the floppy drive be used with a DivMMC interface or not at all? Yes, it is possible, but.. not easy and very limited. 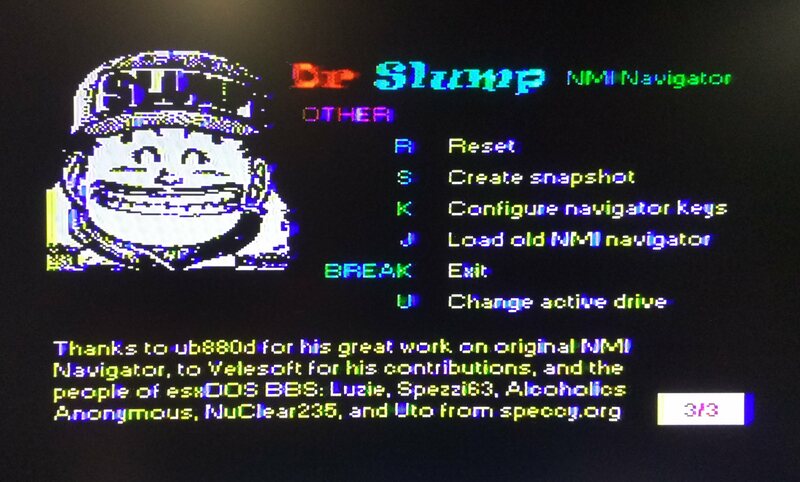 Currenly the only way of using +3 BASIC with the DivMMC, is by using the +3e ROMs. 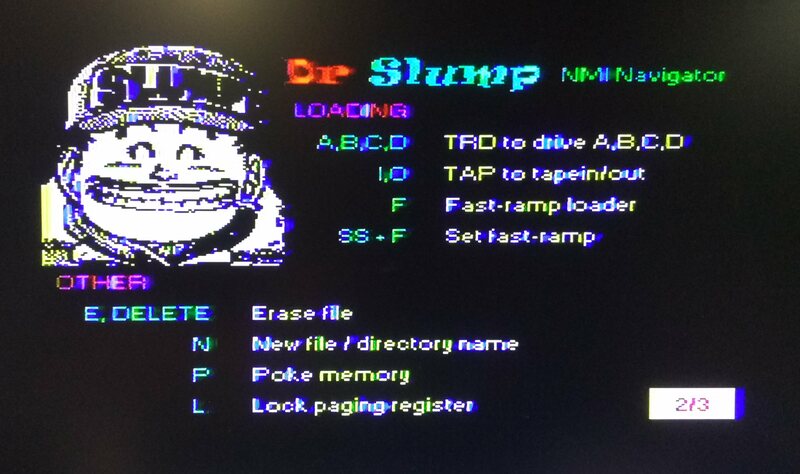 The +3e ROM modifications introduce its own way of formatting and using the SD card. It’s far more complicated to use compared to ESXDOS, and will not support .TAP or snapshot files. If someone would just write some DOT-command that mimics the +3 floppy drive commands, that would be great. A DOT-command is the flexible way of adding BASIC commands to ESXDOS, and since the floppy hardware is simply still present and available on a +3 when a DivMMC interface is connected, why not use it? Hey, maybe if I find the time for that myself some day..
Out of the blue david_ps on board.esxdos.org has developed a new NMI system for ESXDOS. At the time of writing he’s at version 0.0.14, which sounds ‘early’, but it seems to be quite complete already! – Mount up to 4 TRD drive images! – Smaller font – now let’s hope ESXDOS 0.9 with LFN is out soon (Long File Name support should be integrated into ESXDOS first before it can be used by the NMI Navigator). Keep an eye on his ESXDOS Board thread: http://board.esxdos.org/viewtopic.php?id=94. Here are some screenshots I just took (yes, I should have connected the ZX-HD 😉 ).